Waterfront properties located in Port Lavaca, Port O’Connor and Seadrift, waterfront property is the charm of this area. The sunrises and sunsets on waterfront a property are truly magical. When looking for WATERFRONT property in Port Lavaca, Port O’Connor and Seadrift you have come to the right place. Dallas Franklin has lived on the coast his whole life and also knows the ends and outs of buying and selling waterfront property in Port Lavaca, Port O’Connor and Seadrift. When purchasing waterfront property it is very important that you find an agent that is familiar with the coastal areas. Dallas Franklin is very knowledgeable in windstorm insurance and coastal water levels. He is also very familiar with coastal construction in Port Lavaca, Port O’Connor and Seadrift. 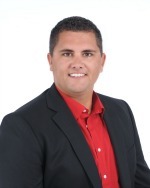 If you have any questions about buying or selling waterfront properties please contact Dallas Franklin.